Foodservice equipment manufacturer Manitowoc has upped the stakes in the food-to-go market by revamping its Merrychef Eikon e2 series to create its smallest but most powerful high-speed oven to date. FEJ headed to the brand’s factory in Sheffield to find out why it believes it has created a new category leader. Given Sheffield’s famous links to the steel production industry, it’s somewhat fitting that FEJ is on its way to visit a factory at the height of its game right now. Lying 20 minutes north of the city, on a modest industrial estate off a residential area, is one of two production facilities that Manitowoc operates in the UK. 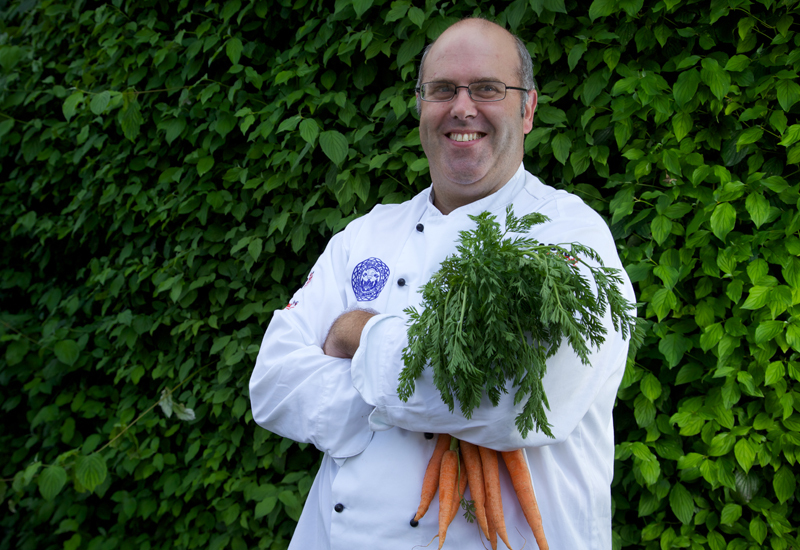 A number of brands are — or have been — built at the factory over the years, including Moorwood Vulcan and Convotherm, but more recently one product has come to dominate them all: Merrychef high-speed ovens. And that’s precisely what FEJ is in South Yorkshire to see. The company will this month make its new eikon e2s model — the smallest of the three main Merrychef oven lines it produce — commercially available to the market. And while manufacturers are sometimes guilty of updating products without any notably significant changes, the eikon e2s is the result of a complete rethink of the product’s legacy design. For a start, it represents the first major overhaul to the line for more than three years, but more importantly it has been developed following extensive consultation with customers. Ironing out the imperfections that frustrated users of the existing model was very much at the heart of the design brief. But let’s take a step back first. 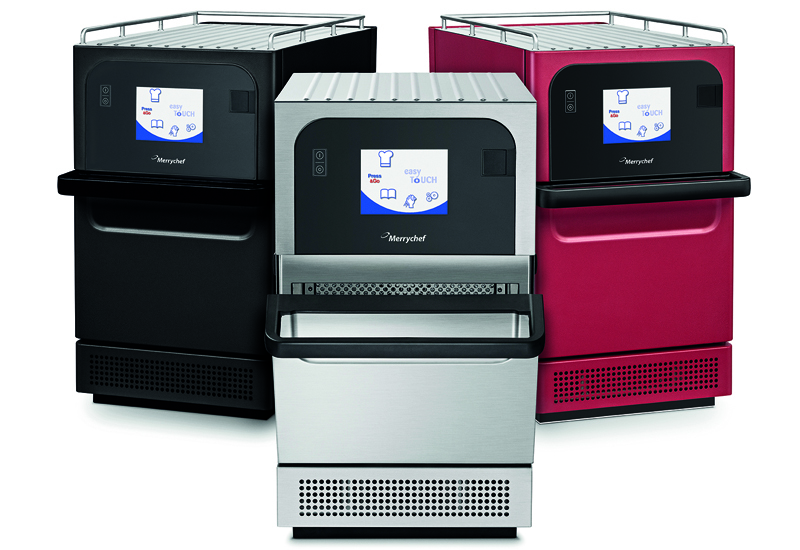 The current e2 model uses Manitowoc’s Planar Plume technology, which basically blows a curtain of hot air onto the food for evenness, but while it has been a big success it soon became apparent that the industry was already moving on and, in particular, foodservice operators were championing a greater focus on speed, noise and aesthetics. 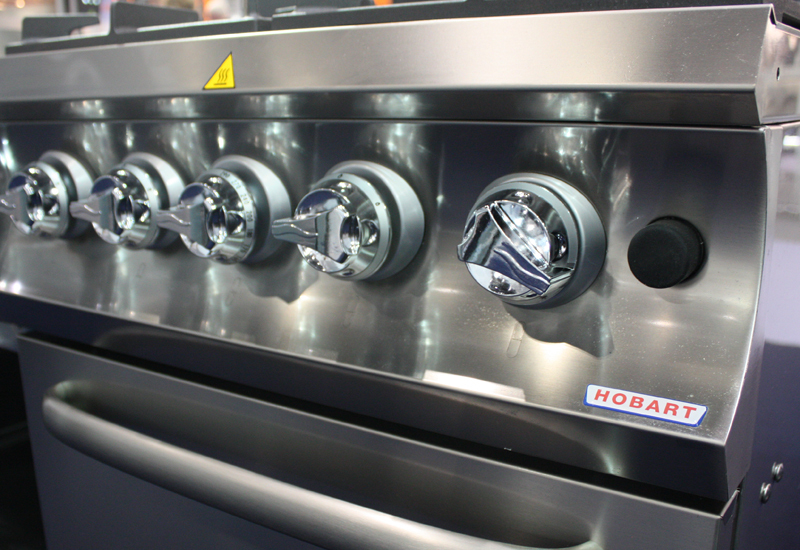 One of the most notable enhancements is the redesigned cooking chamber, which delivers ease of cleaning and improved safety thanks to its seam-welded cavity and large rounded edges. And despite having a width of just 356mm, the internal capacity of the chamber has been increased to the extent that it can now accommodate a 12-inch pizza, which its predecessor couldn’t, and twice the number of toasted sandwiches. “Basically the unit is 14 inches wide, but it will take a 12-inch pizza. From a size point of view, you can’t get much more compact than that,” says Hemsil. Enhanced cooking techniques, which combine microwave with fan-assisted convection and blown-air technology, means the unit can perform up to 20 times faster than a conventional oven, according to the firm, while warm-up and cool-down times have been improved and ovens can now be sited next to each other, according to Hemsil. The speed naturally depends on the product but, as FEJ witnessed, cook times of items such as wraps and toasted sandwiches can be as little as 50 seconds. 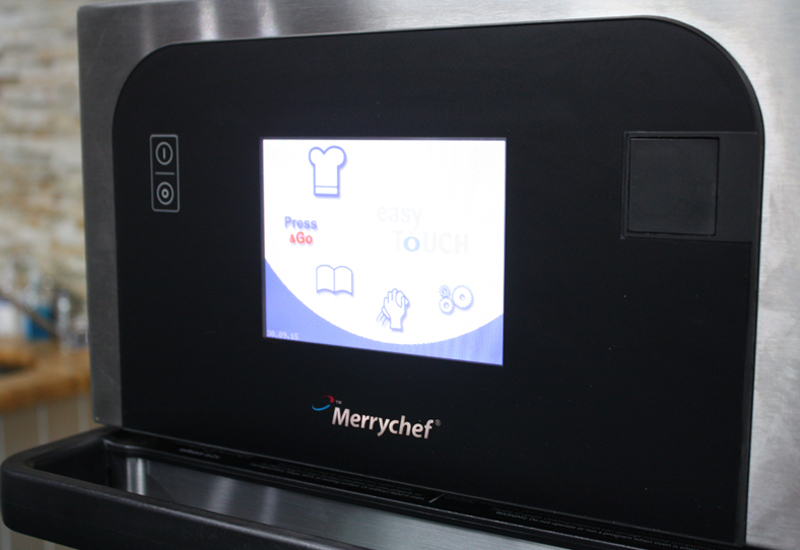 An icon-driven touch-screen interface promises simple operation, while a USB memory stick can be used to transfer more than 1,024 different cooking programmes to ensure menu consistency for operators with multiple locations. For the first time, Merrychef is also making the units available in shades of red and black to go alongside the classic stainless steel appearance. Any chain likely to place a significant order could feasibly even choose colours tailored to their brand. Whether customers are bold enough to opt for a colour model remains to be seen — Hemsil admitted that at the recent Lunch! exhibition, where the product was shown, visitors indicated they preferred the classic look, but he expects the alternative shades to prove popular in certain environments. Elsewhere on the aesthetics front, the rounded top on the previous Merrychef e2 ovens has been squared off and rails have been added to the sides and back so that operators can store cups, saucers and other items on top. Meanhile, the oven is available with two different power sources: a standard 13 amp with a traditional three-pin plug and a higher powered 32 amp version. 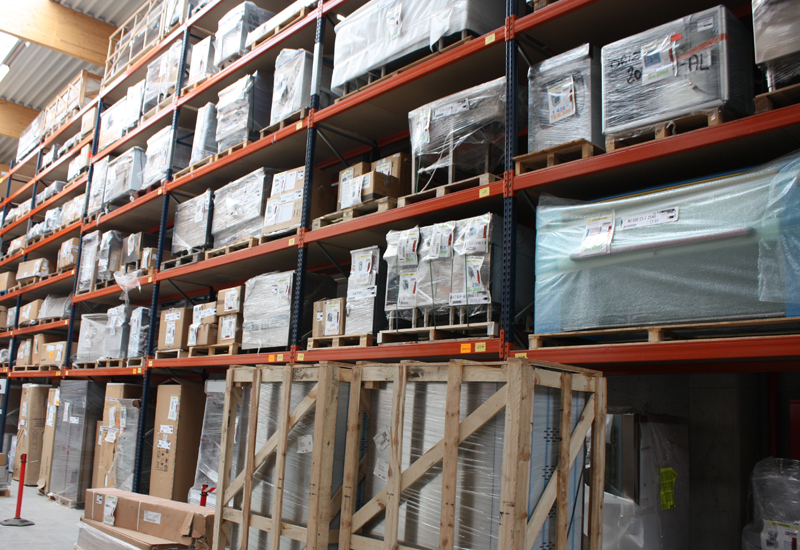 “The main difference between those would really depend on the quantities the customer is looking to put through,” explains Hemsil. 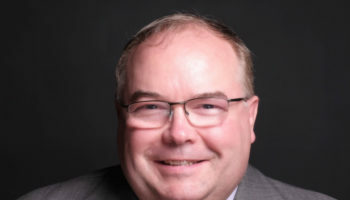 “If they are in a situation where they would expect to do high lunch volumes then we would look to introduce the 32 amp unit because that would fit better. It is to do with the number of magnetrons in the unit — the higher wattage has two magnetrons, which allows us to cook more products at the same time. Hemsil is confident that, for the first time since the launch of the larger e4s, Manitowoc has a product that will allow it to knock on doors and tick a lot more boxes than it has managed in the past. It’s certainly not escaped the firm either that its rivals are also investing in strengthening their portfolios. Manitowoc is adamant that it has come up with a winner in the e2s, but it certainly won’t be resting on its laurels. Ease of cleaning is one of the main factors that Manitowoc considered when designing the Merrychef eikon e2s. Large rounded corners have replaced the tighter, angled corners that were there in the previous version and the interior walls have been completely smoothed out, so that users don’t catch their hand on any indentations when loading or cleaning the oven. The e2s is also fully ventless, which makes it ideal for front-of-house environments. A catalytic converter removes any smells, grease and smoke, cleans the air and replenishes the cavity to prevent hot air being wasted. “It goes back into the unit, which from an efficiency point of view saves a lot of time in having to re-heat the oven,” says Hemsil.